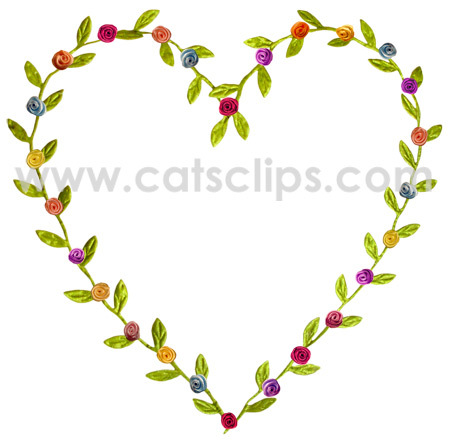 A green ribbon of leaves form a heart with small colored ribbon roses. Use to frame a photograph or add text to make a special valentine. PNG with transparent center and a white background.